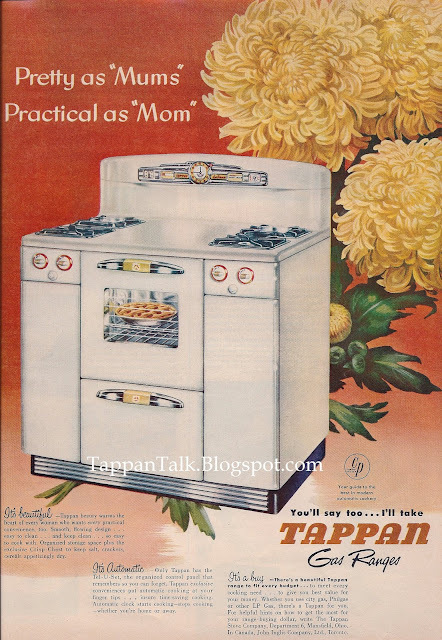 Another Tappan Deluxe ad submitted by reader Joe M. This one is scanned from Better Homes & Gardens, Oct 1950. "I have the Tappan AV 669 CP, just restored to the point of turning on the gas & lighting up the pilots! In cleaning the oven, I notice a rod, the thermostat sensor, I think? is detached from the oven back wall. The holding clips are still attached to the rod, but I see no way to secure them into the holes provided - they apparently *don't* screw in .. how did these clips attach, anyone?" 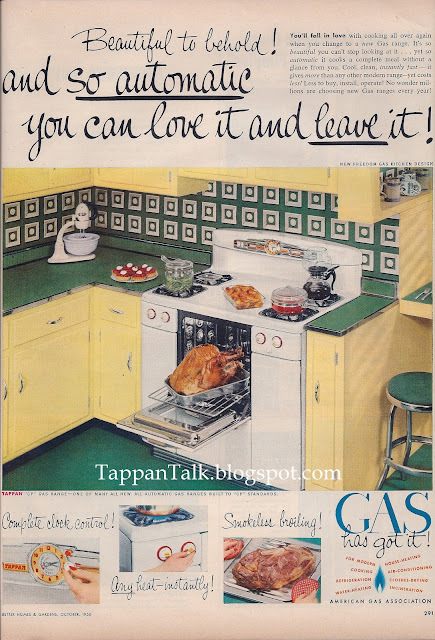 First, congratulations on restoring your stove! I've attached photos I have of the oven burner of a non-CP (which may or may not make a difference depending on what part you are talking about) stove. This is the inside of the oven with the oven floor and baffle removed. Readers: any help/advice to add? Here is a fun bit of history. 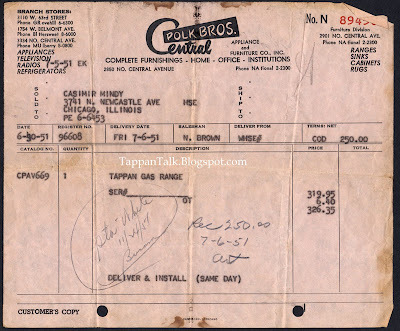 Tina emailed me a copy of the original 1951 sales receipt for her husband's grandmother's Tappan Deluxe stove. We are lucky grandma was a "saver." Very cool. I'd have that receipt framed and hanging in my kitchen. 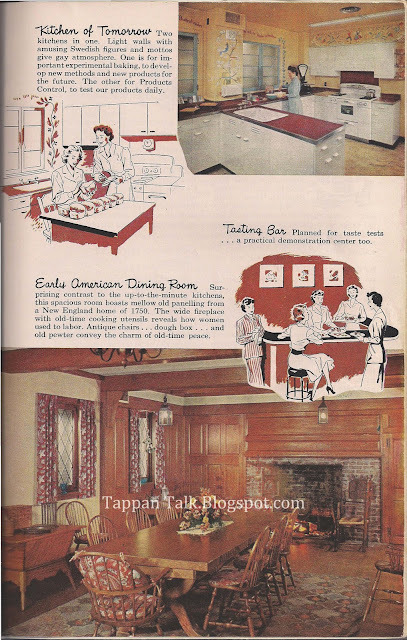 Veronica sent me pictures of a vintage Tappan she just bought and is planning on restoring. This one threw me for a loop. I looked through the materials I have and the closest guess I can make to a identifying it is a possible Series 70. 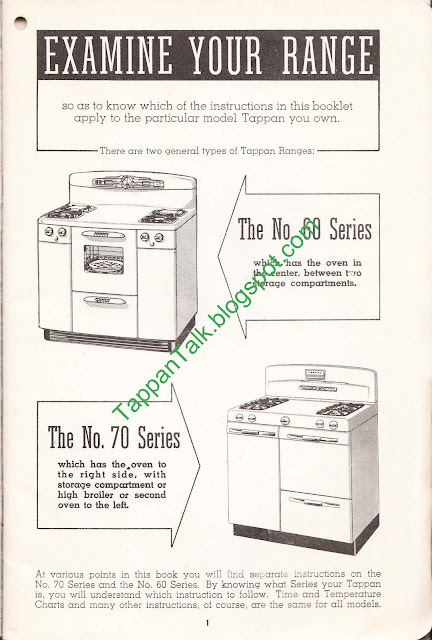 I have a 1950 Owners Manual for a Tappan Deluxe that also includes an early Series 70. The series 70 looks somewhat similar to Veronica's stove (except her oven has a window, there is a storage area under the left warming drawer/broiler, it has a Telechron clock and outlet). I'm also interested in the medallion that says "Deluxe." I'm wondering if this was a higher end series 70 model or perhaps a later version. It has a push button light, which on the series 60's mean's its a later model (with the pull chain on the earlier years). Does anyone have a later 1050's Owners Manual that includes series 70s? Any other ideas? 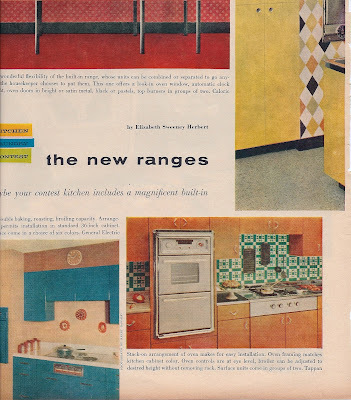 Better Homes & Gardens - October, 1950. Thanks Joe M for the picture! Another Tappan Deluxe costarring in a movie. Disturbia, directed by D. J Caruso and starring Shia LeBeouf, is an updated version of Hitchcock's classic Rear Window. The movie was released by DreamWorks on 2007. A troubled high school junior is sentenced to home arrest after an outburst at school and starts watching the neighbors out of boredom. This plot line gives us a pretty good look at the interior of a stunning CA bungalow (I could watch the movie just for this)....including the kitchen. Thanks to Ron & Aiden for the sighting tip. Another Tappan Deluxe sighting in the wild. 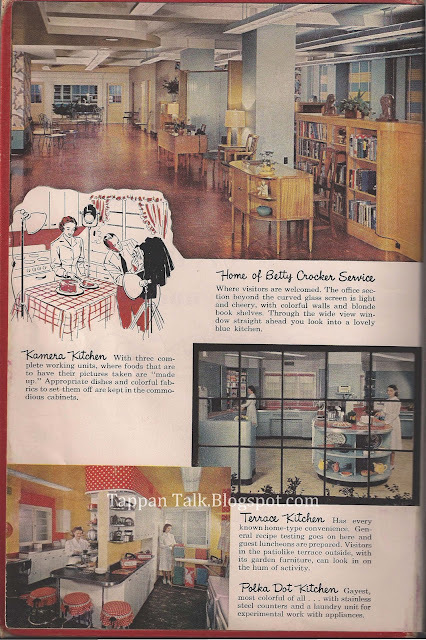 Thanks again to Ron and Aiden for a tip that a Tappan Deluxe could be found in the introduction pages of the 1950 edition of the Betty Crocker Cookbook. 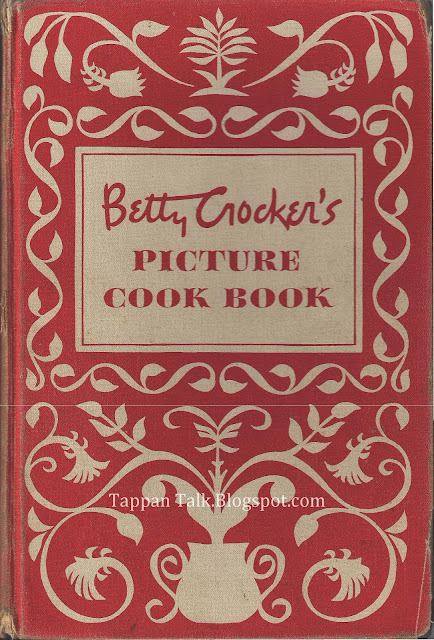 Luckily my mom had that same cookbook in her kitchen, so I was able to track down the pages. Check out the "Kitchen of Tomorrow." 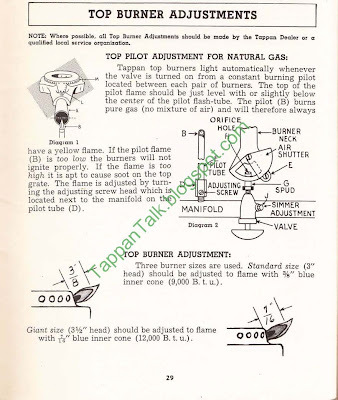 I received a question on how to adjust the Tappan Deluxe top burner flames. I think there is a two part answer for this. First, you need to clean the burner itself. They get dirty and I suspect very few people realized over the years that they could be removed and cleaned. 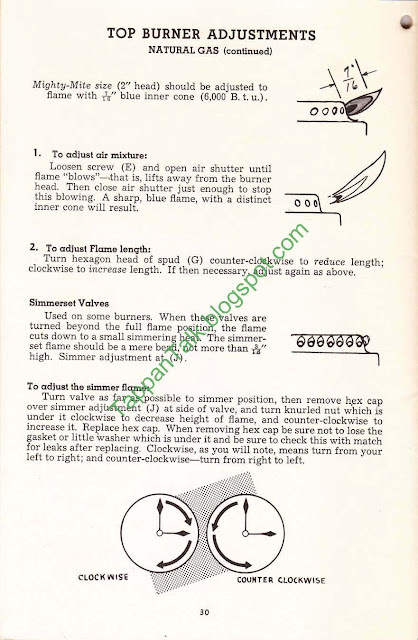 Secondly, you will want to adjust the actual burner.